With increased public and scientific attention driven by factors such as oil price spikes, the need for increased energy security, and concerns over greenhouse gas emissions from fossil fuels, the production of fuels by biological systems is becoming increasingly important as the world seeks to move towards renewable, sustainable energy sources. Biofuels and Bioenergy presents a broad, wide-ranging and informative treatment of biofuels. The book covers historical, economic, industrial, sociological and ecological/environmental perspectives as well as dealing with all the major scientific issues associated with this important topic. 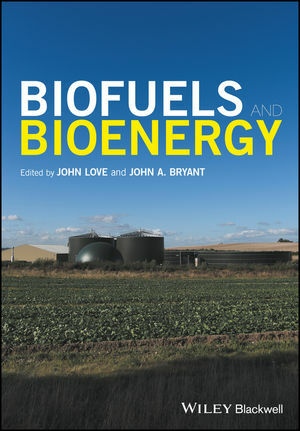 • Basic biology, biochemistry and chemistry of different types and classes of biofuel. • Current research in synthetic biology and GM in the development and exploitation of new biofuel sources. • Aspects relating to ecology and land use, including the fuel v food dilemma. • Sustainability of different types of biofuel. • Ethical aspects of biofuel production. Biofuels and Bioenergy provides students and researchers in biology, chemistry, biochemistry and chemical engineering with an accessible review of this increasingly important subject.